We are a low-cost provider of limestone and other aggregate materials to sites throughout Pennsylvania. 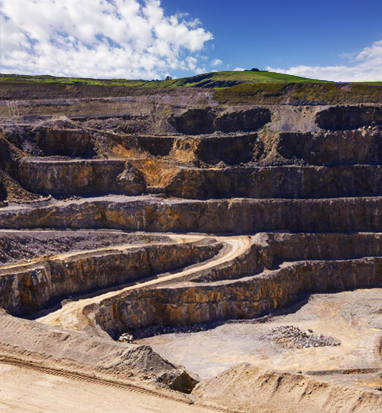 Located in Alexandria, Pennsylvania, Canoe Valley Limestone is a preeminent supplier of limestone and aggregates for use in the construction and power generation industries. Limestone, composed mostly of calcium carbonate, is a vital part of CFB power plants and is utilized for emissions control. Formed in 2004, Canoe Valley supplies over 1,000,000 tons of limestone annually to a wide variety of end users. With over 150 truckloads of material leaving the site daily, we can handle any job, both large and small. Canoe Valley is conveniently located near Seward Generation, a major customer with over 700,000 tons of limestone material consumed annually. Other major uses for our limestone and aggregate products include the manufacturing of concrete and gas well pad construction.